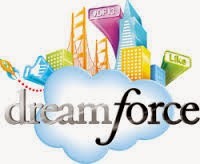 I was fortunate enough to attend the Dreamforce conference at the end of November 2013. I attended many sessions and will be writing more about what I learned from many of them. In the post, I share one lesson I learned from Yahoo CEO, Marissa Mayer about LX design. The one important lesson I learned from that keynote is a focus on simplicity. It is important to design by either removing all non-essential “stuff" or not adding extra “stuff" in the first place. In product design this “stuff” is features. In LX design, this “stuff” is learning modalities. Too many of them distracts learners and can even impair learning effectiveness. Don’t believe me? Look at the research in this area. Cognitive load matters. Take this advice, as I try to do, and keep all non-essential learning modalities out of your work. Or better yet, try not to add it in the first place.